With all their strengths, Blade is viewed as the perfect vampire.He lacks all vampire weaknesses: sunlight, garlic, silver, and holy symbols. His only weakness is the vampiric thirst for blood. Could Blade have the ability to turn humans into daywalkers? 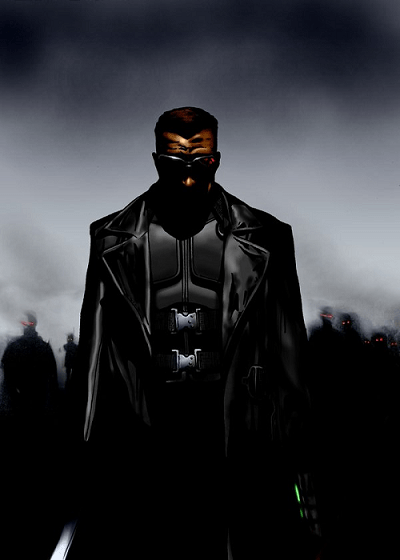 In the Marvel Universe, Blade is found battling/partnering with other Marvel Heroes such as Wolverine and The Punisher. One of Blade’s vampire encounters was with Spiderman himself. The power of the vampire blended with natural powers of Spiderman created a Carnage like menace against Blade. 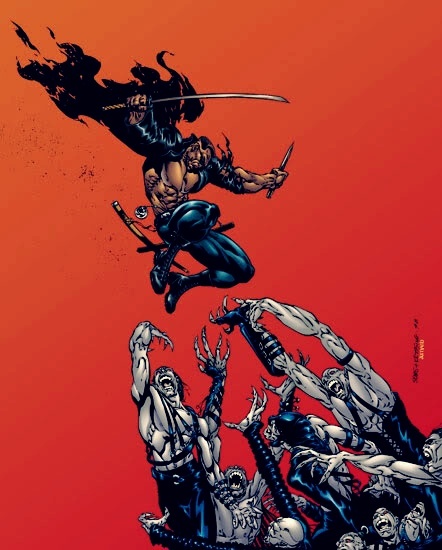 What type of threat would Wolverine become if he became a vampire? Or could he be turned, since he has the healing factor? What of The Punisher? Could he be a match for Blade if he was a vampire or would he fall like many others? Blade transitioned from the comic book to live action film, portrayed by Wesley Snipes. Blade is Marvel Comics first live action R-rated film. This movie was also was a blueprint to upgrade the character from the 1973 comic book version. In the movie UnderWorld Evolution, Selene is granted the ability to survive sunlight and silver. Could she be a perfect partner for Blade against the undead? Do you think this would be an excellent film featuring these two characters? Comic Multiverse fan favorite artwork of Blade goes to the DeviantArt artist Severianhero. Excellent Works! Follow this Artist! 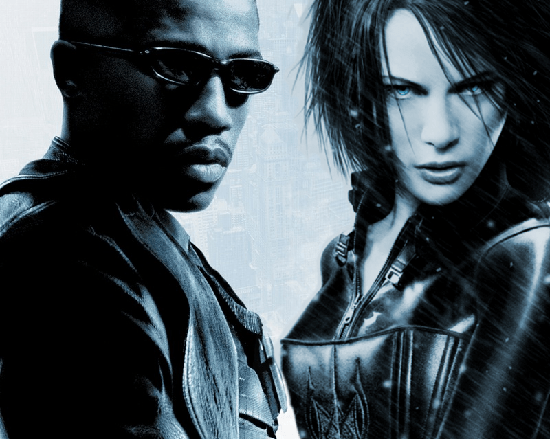 It is possible for Selene to team up with Blade, But with a daughter the raise and a lover to find, it won’t be easy. I don’t think Michael would take that lightly. If Selene left him for Blade, Michael would be heartbroken to say the least.